There are so many unique and challenging events that a photographer can experience and become skilled at. Just check out your local 'what's on' and you'll find everything from sports and festivals to aerobatic displays and music concerts. 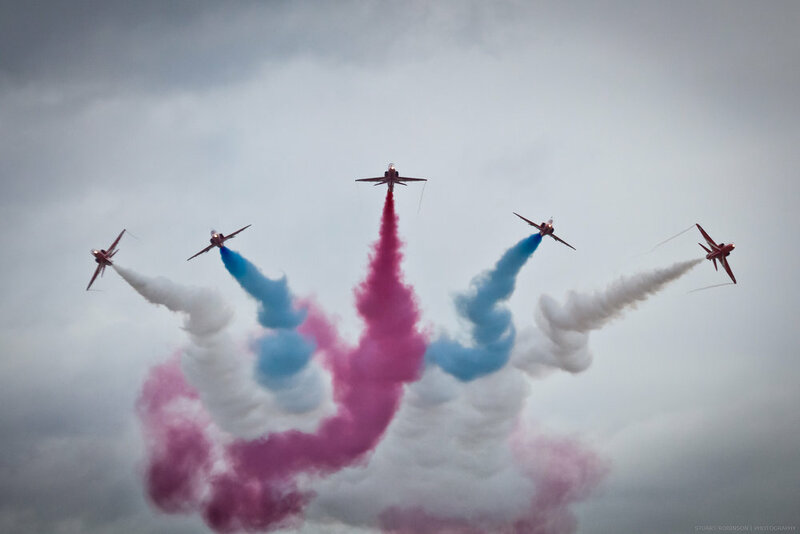 I have been lucky to be asked to photograph the Edinburgh Festival on a number of occasions, but my favourite set of photos in this gallery are of the RAF Red Arrows, displaying over Hoylake. Typically, the Red Arrows are pictured displaying against clear blue skies, but rather than produce similar stock images, I waited for a display on a particularly moody, overcast day to create images that are a little more unique and hopefully capture a greater sense of the atmosphere of one of their displays. Photographing the fringe is an annual challenge, some performers love having their picture taken and others... ironically, not so much. The trick is to offer some publicity in return (or flash your official badge, which also works).